Complimentary valet parking on site. Live piano in the Cellar Lounge. Outstanding food and service, but you will pay for it. Folk's Folly is one of our favorite restaurants. We celebrated two birthdays-my hubby and brother in law. The food was fantastic! As usual, we had a great time at FF! Everything was great! Our server Chuck was very personable and attentive! 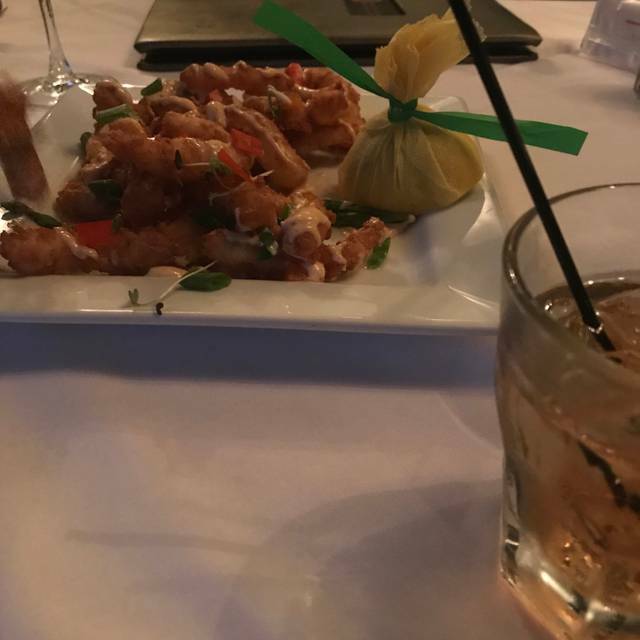 As always, excellent service with amazing food keeps me coming back! The food is always outstanding at Folk’s. It is our “go to” place for special occasions. Mia Clemons, our server, is always the best! Amazing experience! We will be back every visit to Memphis! Came for anniversary dinner Saturday night 4/13. Appetizer was very cold when it arrived at table. Dessert was very bland and dense. The steak was not up to par for the price we paid for it. Twice baked potato was very salty. 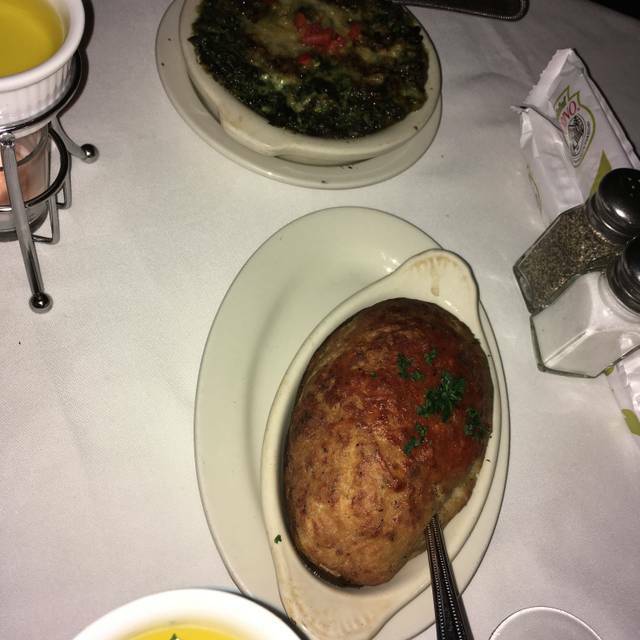 Best part of the meal was the spinach casserole and salad. Bring both of your wallets. However, You get what you pay for. Excellent place for any special occasion or just going out to eat! Always great! I love this place for a great business dinner. When I come to Memphis, I try and bring my clients to dinner there. 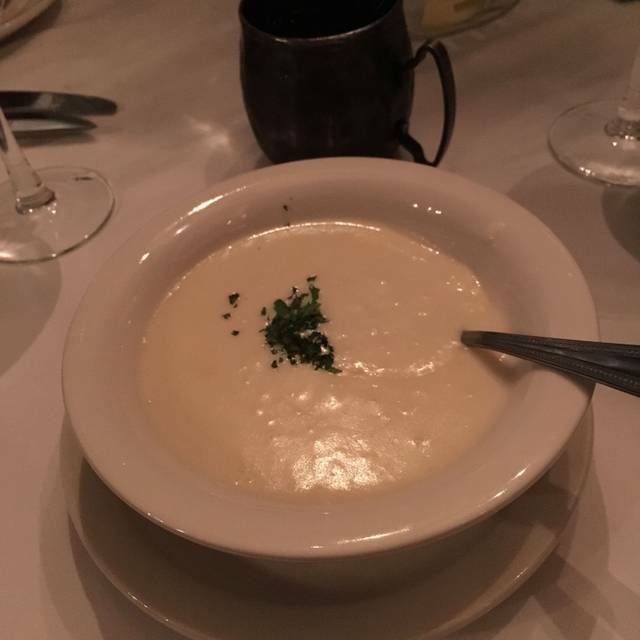 Great food, excellent service. A little loud but not too bad. The best restaurant in Memphis. Always consistent with their food. Staff is always great. 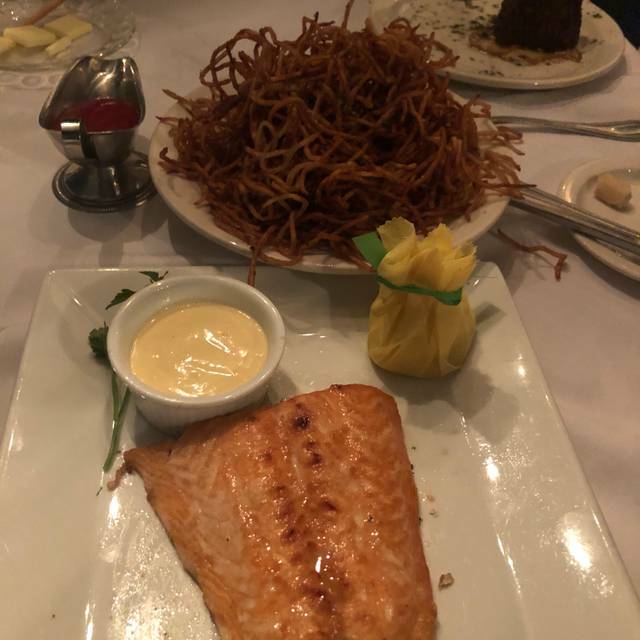 The meal in general was pretty good and everything was cooked correctly, however our server talked down to my husband because he didn’t understand a few industry terms on the menu. I myself being a server in fine dining knew them, but didn’t have time to explain to him. She literally laughed at him and got a good laugh because he didn’t understand the term. When you are spending $250 on a meal, you most certainly don’t need to be made fun of for something you are unfamiliar with. It just really put a damper on the meal as a whole. 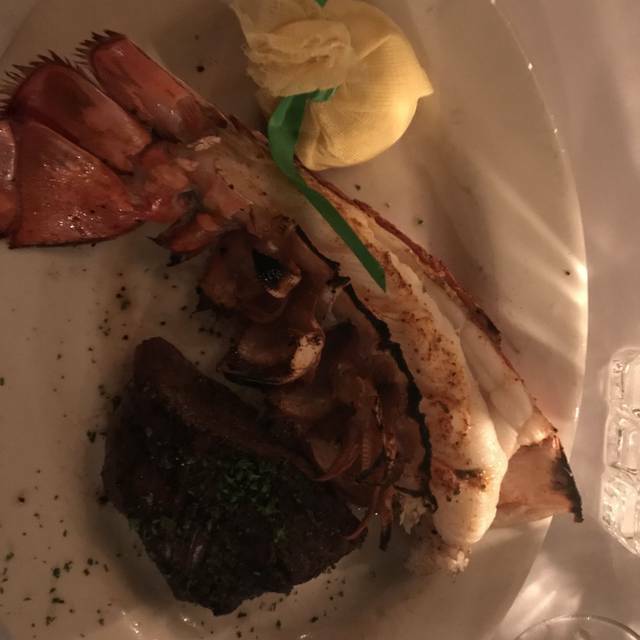 This was our nice meal for our honeymoon and I absolutely expected more from a place with such a great reputation for service and food. Absolutely my 1st choice for any of our special celebrations in Memphis. The food and the menu choices were outstanding. 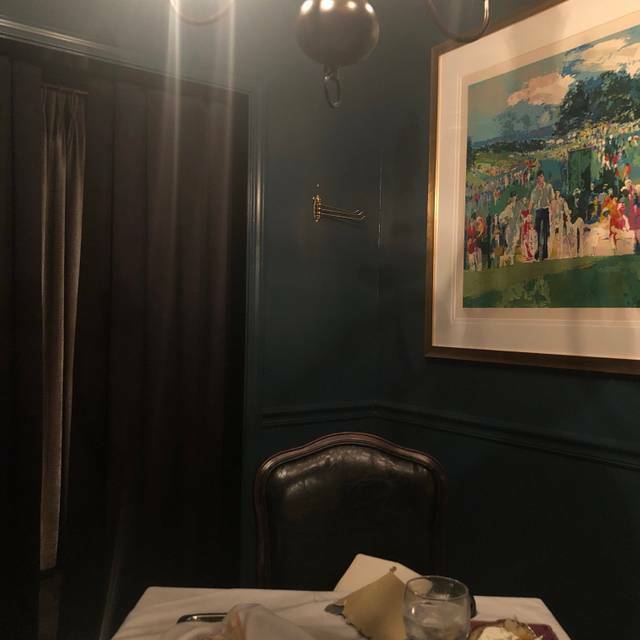 We have eaten at other fine dining steakhouses in the Memphis area and Folks’s Folly was the best by far. A most enjoyable evening! Parker recommended excellent wine and food choices for us. Wonderful knowledgeable wait staff! Celebrated two birthdays in style at Folks Follys. The bone in Wagyu was to die for! Everything was on point with very attentive service by Alvis! Always a must dine for us when we visit Memphis. We had a beautiful evening. We loved every single morsel we ordered. The Calamari was perfection. 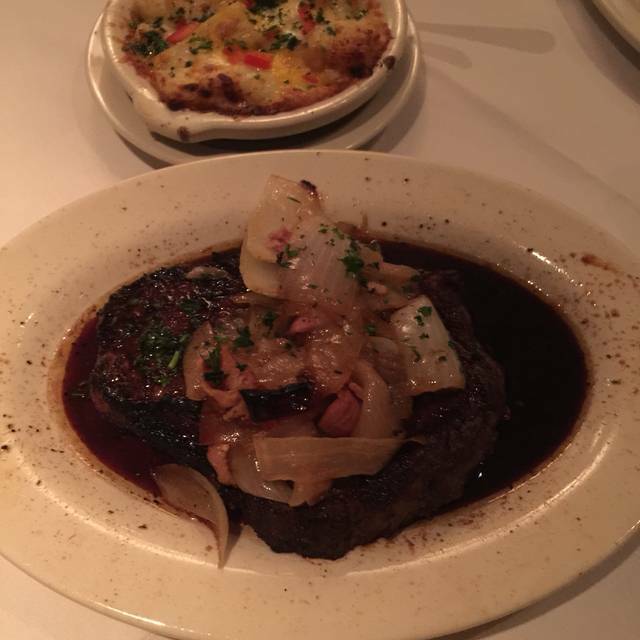 Our Garlic Ribeye was everything we wanted, cooked exactly how each of us requested. I ordered the cream spinach, along with the bread, I literally could have made that my whole meal. I was happy to see a very reasonably priced Cabernet on the wine list that paired beautifully with my steak. We did not expect to order desert, but the four of us just had to! It did not disappoint. The ambiance was lovely, elegant piano playing in the background. Our waiters were attentive yet unintrusive. It made us feel so intimate, it felt as if the four of were the only ones in the restaurant. I order my steak medium and got medium well, service was a little slow but okay, I expect more for the price I was paying. First time eating at this establishment, we will be back. We were the first to arrive and were early. We thought since we had let the young lady at the counter know we were there, that we were checked in. They started seating and realized we needed to check back in. Besides that, it was great experience. Every time we visit Folk's Folly we are pleased. We had a wonderful dinner celebrating my husband's birthday! Our server Rose was the best! Thank you! Delicious food! Our waitress was amazing! Food was top notch, and all of the wait staff are incredible! Great service excellent food and wine. The crab cakes were doughy with very little crab in them. Won't reorder them The steaks were delicious and cooked perfectly. Spinach casserole tasted so good. We were over the moon for the Bleu Mountain chips. Best caramel cake ever. The best brownie, as well. Service was great. Manger stopped by our tables a few times, making sure everything was delicious and making us feel at ease for being one of the last few in the restaurant. 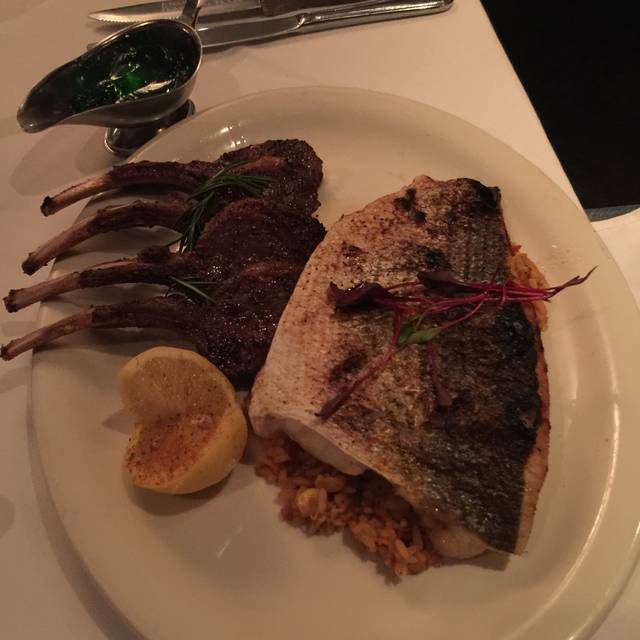 Try the lamb and martinis!! Most expensive meal my wife and I have ever had. But it was a special occasion and well worth the cost. Impeccable service. Food was all very good except the Tidbits appetizer. Chewy and not tasty. But everything else was delicious. Amazing wine list and Carlos is very knowledgeable about wine. The food and options were great. Calamari was the best calamari I’ve ever had. Recommend highly. Food wasn't as good as all the hype. 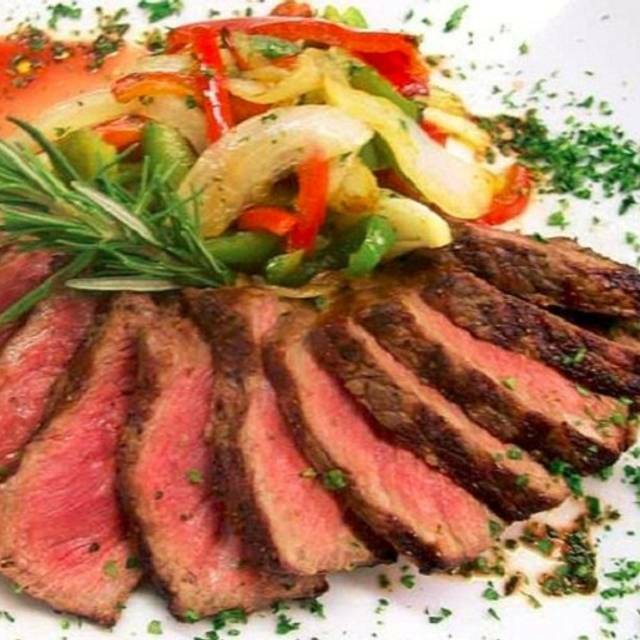 For an expensive steak house the cook should know how to cook a ribeye med. My first ribeye was well done and the second was rare. For $48 it should have been right the first time. No offense but I can do better with my big green egg and a ribeye from Kroger. The establishment was nice however the food wasn't good. I ordered the sweet mashed potatoes they were burnt. My boyfriend ordered the chicken the sauce was horrible and the chicken was very dry. Spinach casserole was bland. Just not good.. I have dined at Folks Folly for probably 35 years and it never fails to be a delightful dining experience. The food is always excellent as is the service. I also love that I can actually enjoy conversations with my dining mates since there is no loud music blaring. It has been and will continue to be our go to restaurant for special celebrations and for times when we just want to treat ourselves.